I am always looking for new projects for my garden. 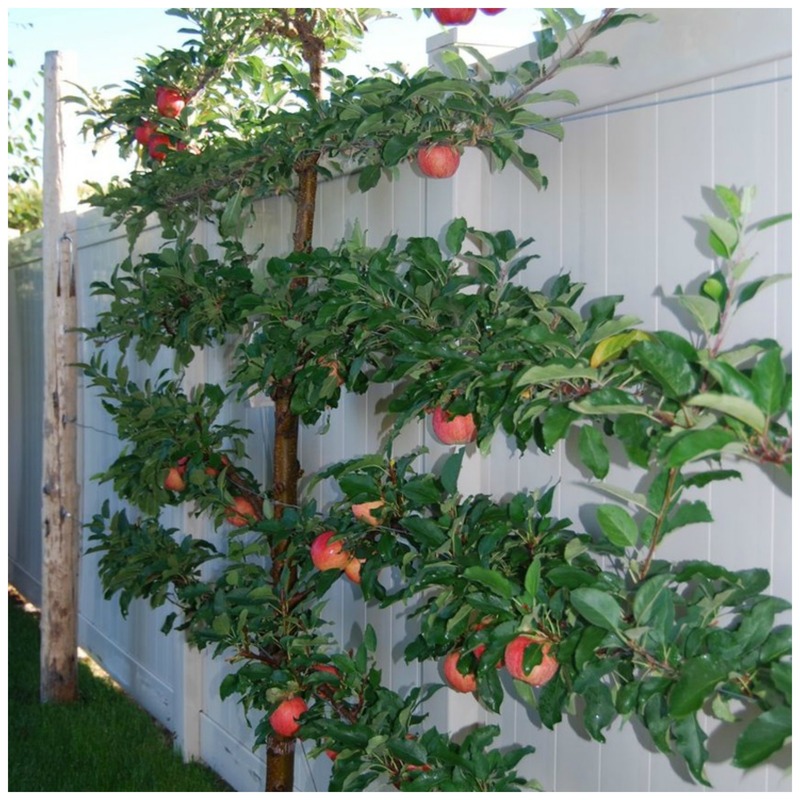 Espalier trees are the process of training trees, shrubs, and woody vines against a flat surface, such as a wall. You can also train them to a freestanding fence or trellis using any type of fruit tree, such as pears and apples which are most popular and citrus, figs, olives, peaches, plums and nectarine trees. You must frequently prune and tie the new growth and direct the plants into the pattern you choose. Image| Tree 1, grown horizontally. Or turn the branches up as in Tree 2 and Tree 3 diagram. If you want fruit, select a dwarf apple, peach, or pear that is commonly grown in your area. For a purely ornamental tree, choose a blooming tree or shrub such as flowering crab apple, magnolia, or double file viburnum. Although creating an espalier isn’t difficult, it does take time. Expect to wait three years for fruit, and plan to spend some time each year doing light pruning and training the branches of your tree. Espalier trees are at most nurseries, and you can choose a more mature tree to start your new garden project. Once you have chosen your pattern you wish to grow your tree, and a location, such as a solid wall, making sure there is enough light for your plant and room to grow. Run wires between nails set in the wall or posts set in the ground to create three horizontal lines, check with your local hardware store for a wire suitable to support the branches as they grow. Plant your tree, leaving about a foot in front of the wall for plenty of room for your tree to grow. Position your tree so that at least two of the strongest branches run in the direction of the wires. As the central trunk grows, keep removing side shoots. When the trunk reaches the next wire up, allow two side shoots to develop (remove the rest) and attach them to the wires. Better Homes and Gardens have some easy instructions and diagrams to follow.